Participation in all Sun Parlour events which include the Annual Regatta and Commodore's Ball, along with other great rendezvous and clubhouse events. As an AYC member club you are invited to all Poker Runs and affiliated club Regattas. Have you checked out our Guest Book lately? 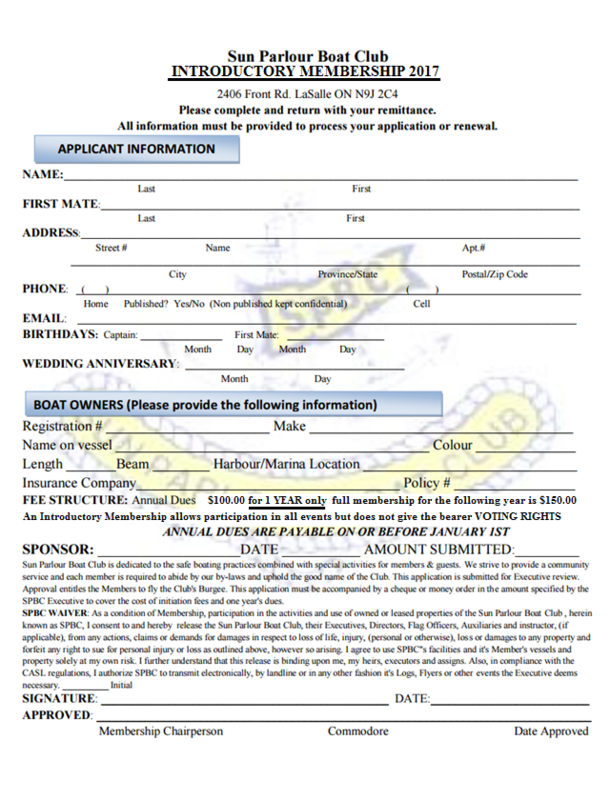 Anyone interested in joining the Sun Parlour Boat Club, is invited to contact Bill Deans, Membership Chairperson or mail a completed application to the Sun Parlour Boat Club address shown on the form. Please print and complete the application below.